Mark Hall became an academy on 1st September 2013, sponsored by the Academy Transformation Trust. We welcome all students, irrespective of their backgrounds. Teachers will get to know your child as an individual and unlock their potential. No matter what your child’s ability our staff will leave no stone unturned to meet their needs, nurture their talents and ensure that they ‘Aspire, Endeavour and Achieve’. 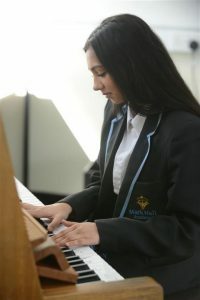 Mark Hall Academy is forward looking, with a positive, creative and ‘can-do’ culture. Works in partnership with parents and involves them fully in their child’s education and the life of the Academy.